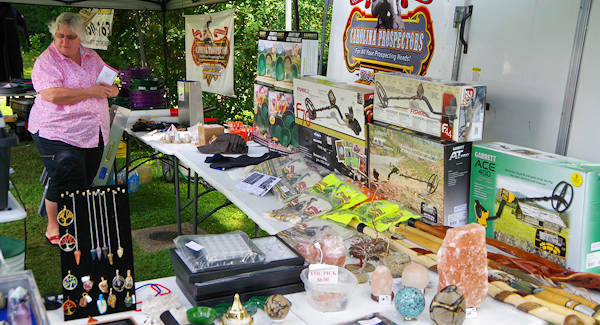 Strike it rich at the Official North Carolina Gold Festival in Old Fort. North Carolina was the biggest gold producer in the country in the early 1800s, when gold was discovered in California in 1848. The mines in this area employed nearly 5,000 people. Nearby, the Bechtler Mint created the first gold coins. 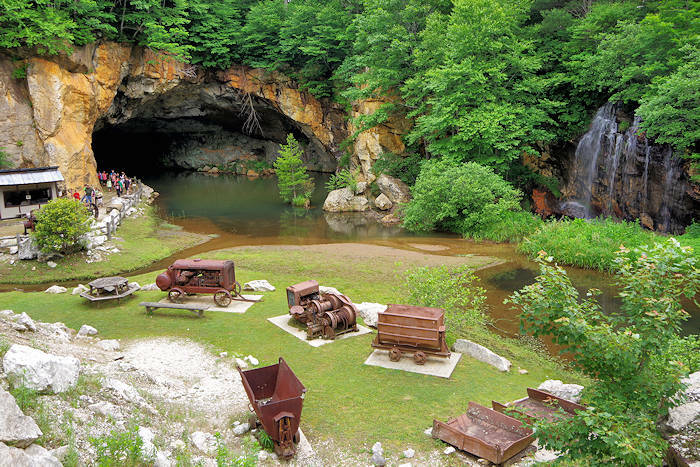 You can also visit other mines and stops on the NC Gold Trail. 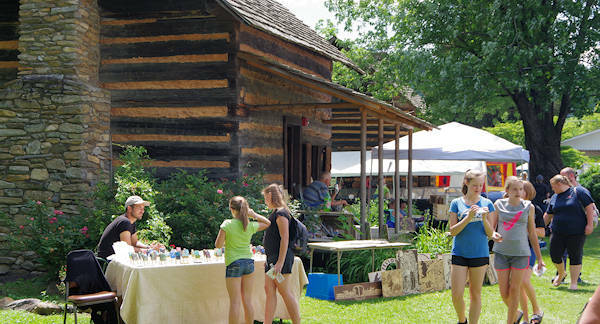 The small festival is held on the banks of Mill Creek at the Mountain Gateway Museum (24 Water St, Old Fort). 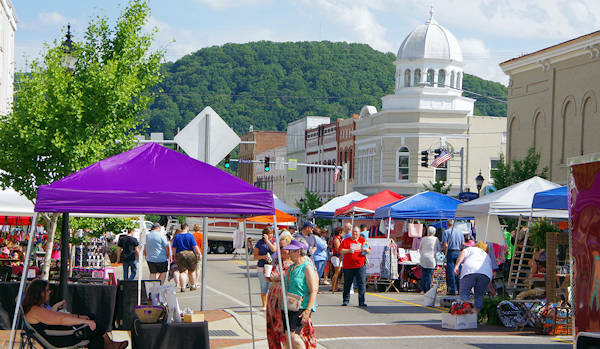 Activities include gold and gem panning contests, gold vendors including a display by the Reed Gold Mine, demonstrations, exhibits, a Bechtler Gold Coin Exhibit, a Bechtler Museum House Exhibit, games, jewelry, live music, and food. The festival runs 10 AM until 5 PM. The museum will be open for free tours. Become a gold and gem prospector with all the tools you will need! Find jewelry and a variety of non-gold related arts and crafts. New is a songwriting competition with artists performing songs hoping to be included on the NC Gold Album. At the Mountain Gateway Museum, tour two historic cabins from the late 1800s. For gem and gold panning at a real gold mine, head over to Thermal City (read more) after the festival. 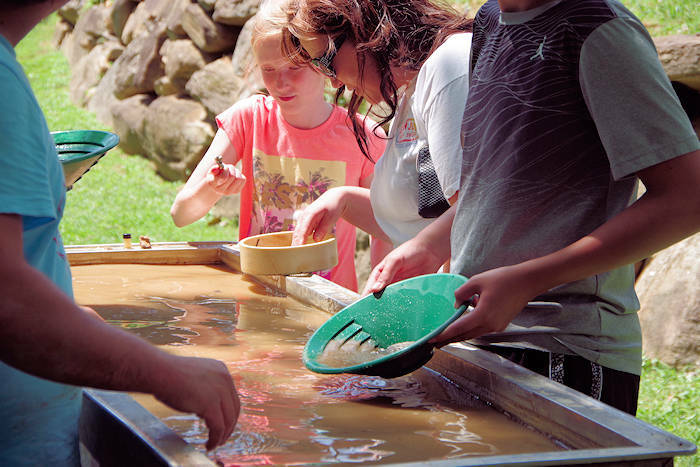 May 31 & June 1, 2019: The NC Gold Foundation holds a separate Gold Festival about 19 miles away at the Lucky Strike Gem Mine (51 Lucky Strike Drive, Marion) with exhibits, demonstrations and activities relating to our gold mining heritage. 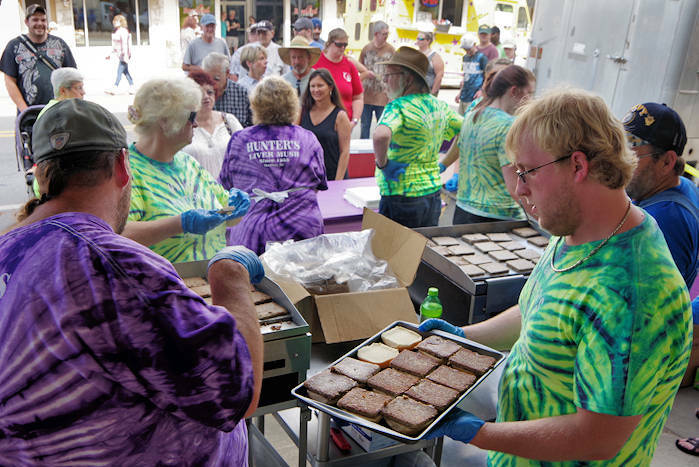 The Livermush Festival (photo above) is that Saturday evening in nearby downtown Marion! Get your free sandwich and enjoy fun on several blocks. 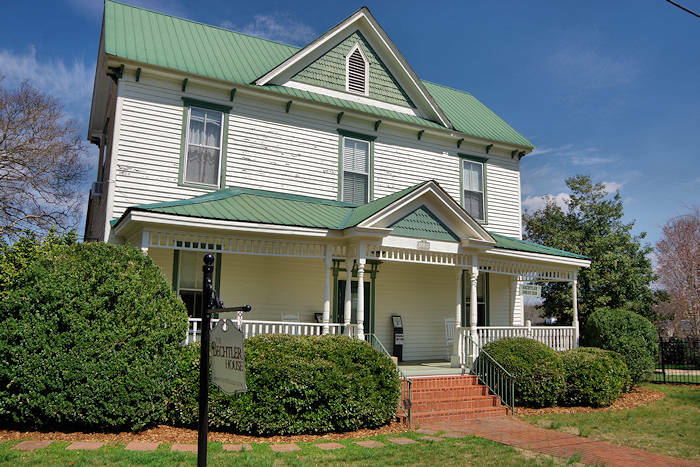 More stops for the day: See the NC Mining Museum at Emerald Village in Little Switzerland or tour the Carson House Museum (on the NC Gold Trail) in Marion. Read more about gem mining in Western North Carolina. A fascinating collection of gem, mining and historical exhibits, including an underground mine tour. Pan for gold and minerals. Located near Little Switzerland, a few miles from the Blue Ridge Parkway.